The above photo was actually taken by Elysa Darling of 222 Handspun. She’s a teal lover, too, and that’s her favorite blue bowl. 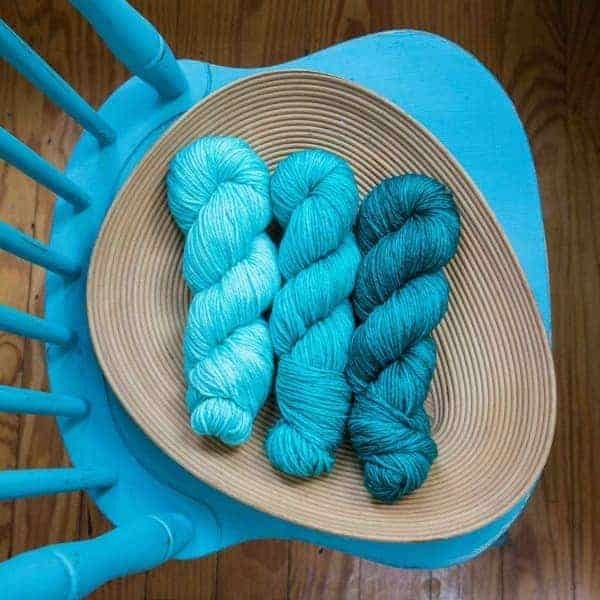 While most who know me would consider a berry pink to be my signature color, teal has long been a close runner-up. 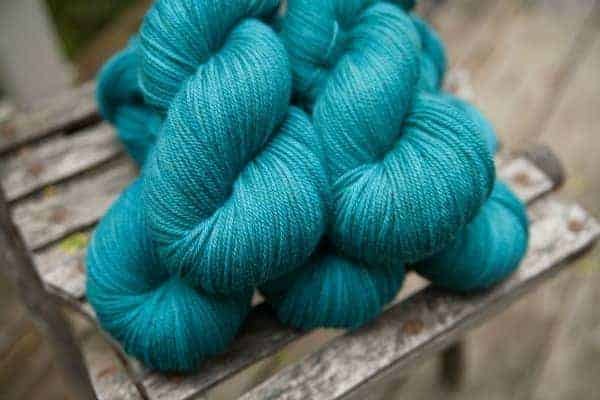 I chose it for the Indie Untangled logo because it gives the site a pop of color, but isn’t so bold that it overshadows all the beautiful hand-dyed and handmade products on display. 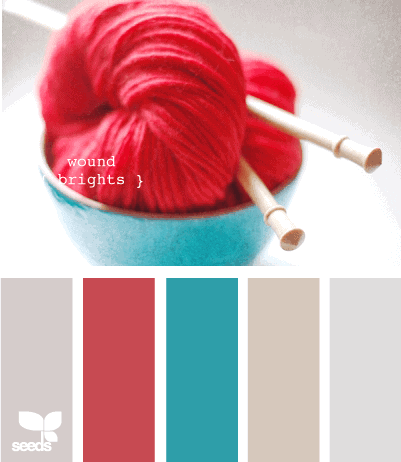 This entry was posted in Color and tagged indies, yarn. Some real beauties here! 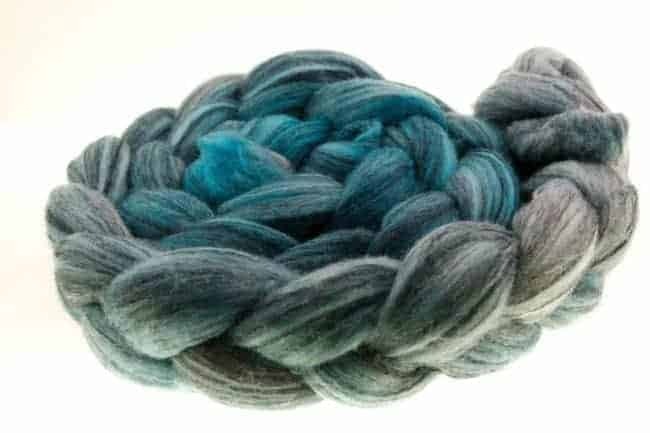 I particularly like the Teal Gradient from Magpie Fibers. Gosh…one is prettier than the next (said this teal-lovin’ gal)! 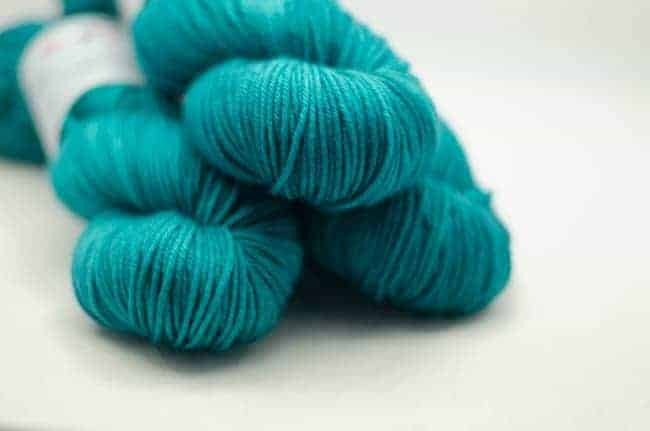 My current project is a Phoenix shawl with Invictus Yarns Victorious in Teal Segue Variant. 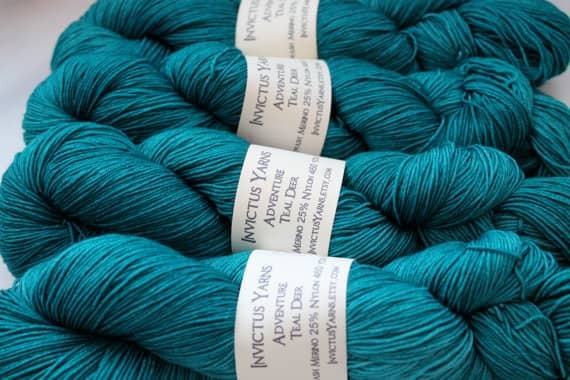 400 yards of merino that moves from light teal to dark, it is beautiful! 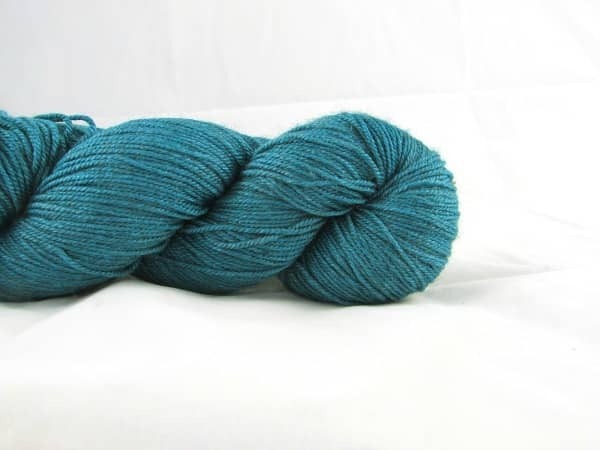 They are all lovely, but gosh, that Lerwick from Cedar Hill Farms really calls to me! I agree, Keya does some amazing jewel tones! That looks really cool! 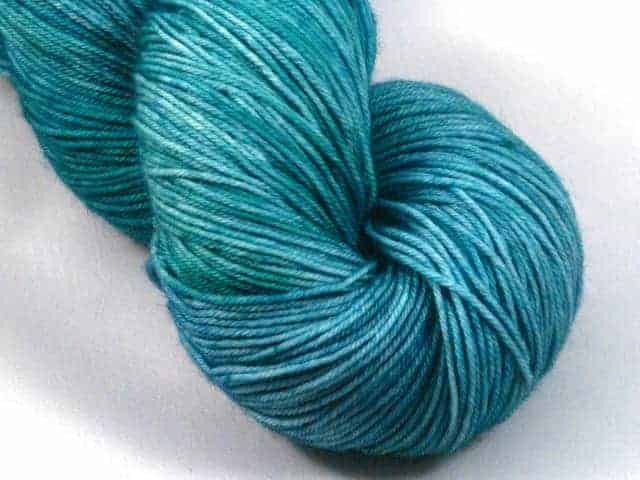 You should definitely share it with the Ravelry group. I think that teal is the most flattering color for everyone- including you! Happy Birthday to Indie Untangled- live long and prosper! Congrats on Indie Untangled’s first birthday! I’m a big fan. Thanks so much for the photo props too. I agree on your choice of color! You’re welcome! I’m glad you let me know about it. 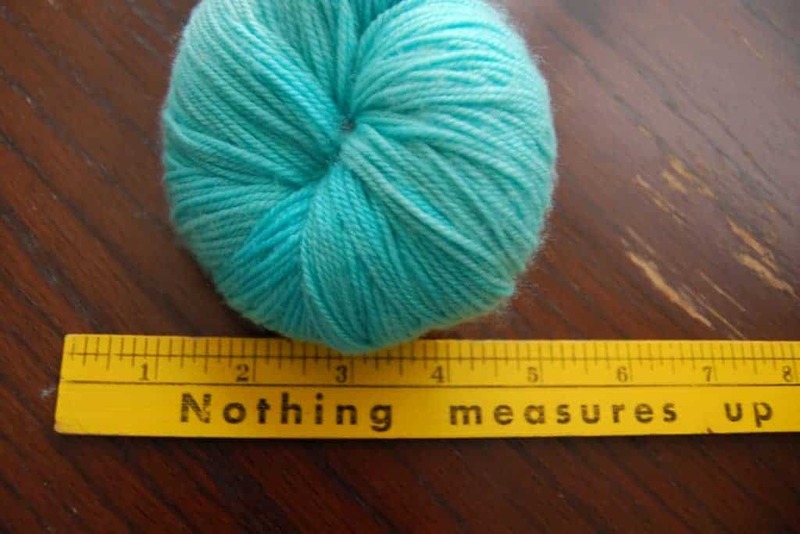 The fiber world is so tiny.